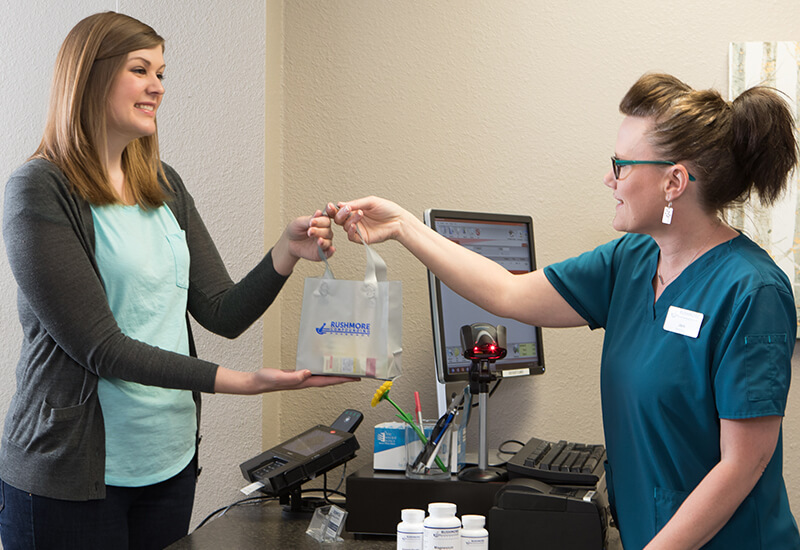 Rushmore Compounding Pharmacy is an independent, locally-owned, professional compounding pharmacy serving the Rapid City area. Our pharmacy specializes in meeting patients’ needs through innovative compounding. By collaborating with physicians and patients, our compounding pharmacists are able to prepare patient specific medications. This strategy allows us to create formulations in unique strengths and dosage forms so we can provide solutions customized for each patient. Compounding is the mixing of medications by a pharmacist to customize medications to a specific patient’s needs. When compounding, for example, preservatives and dyes can be removed, pills can be put into liquid form, or flavoring can be added. Medications can be compounded for children, adults, senior citizens, and even pets. Before the dawn of large drug companies, compounding was the norm for every pharmacy.